In 2006, Landau Building Com pany joined forces with Marks Construction, an established company rooted in West Virginia, to create Marks-Landau, LLC. Marks-Landau Construction is a wholly owned subsidiary of Landau Building Company and handles the majority of Landau Building Company’s projects in West Virginia. The union combines Marks’ knowledge of West Virginia’s clients and subcontractors with Landau’s long history of construction experience. 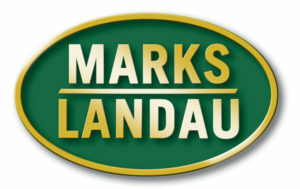 Marks-Landau provides exceptional contracting services for the West Virginia region. Projects have included clients like WVU Medicine, United Hospital Center, WestRidge, Wheeling Hospital, Fairmont State University, West Virginia University, Mon General Hospital, the City of Morgantown and Charles Pointe.